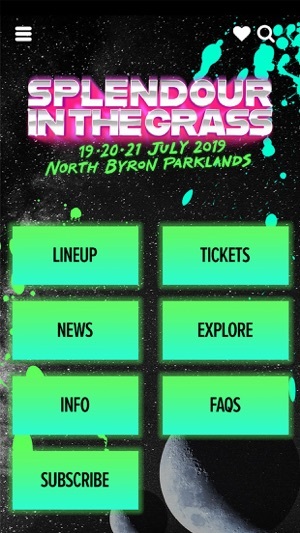 THE OFFICIAL SPLENDOUR IN THE GRASS MUSIC & ARTS FESTIVAL 2019 MOBILE APP. From July 19 to 21, Splendour in the Grass will return to its home at North Byron Parklands for three enormous days of music, arts, food, comedy, ideas and so much more. 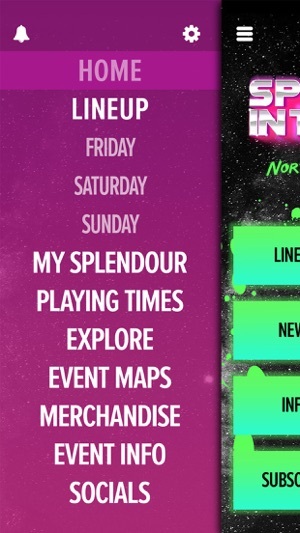 Also making a comeback in 2019 will be your go-to interactive buddy - the Splendour in the Grass mobile app. Before you plan your trip to Byron Bay, discover more about all of this year's artists, performers, other stages, any frequently asked questions and cool stuff. During the event, the Splendour mobile app puts the festival guide in your pocket, keeping you in the loop with important news and alerts. You can also schedule your day using the Festival Planner. 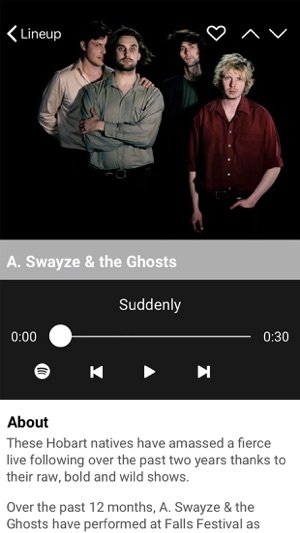 Never miss a set with the most up-to-date playing times and hook up with friends via your favourite social media streams. Plus, find your way around the site using the event maps! Download (or update) the Splendour in the Grass mobile app to stay connected before, during and after the festival. + Apple is not a sponsor nor does Apple endorse any competitions in this app. Updated artists and event info for 2019!